Center for the Arts is offering a special rate of $20 for all tickets for faculty and staff interested in attending the Friday, February 5, performance of the Jones Family Singers. The performance will begin at 8 PM at Smothers Theatre on the Malibu campus. 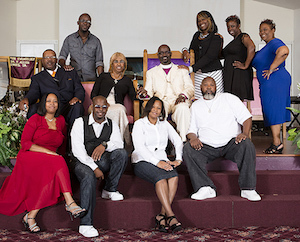 The Jones Family Singers have been tearing up churches and festivals alike for over two decades. Called a "must-see act" at SXSW 2014 by both Rolling Stone and NPR, their high-energy performances showcase the indelible connection between gospel and its rock and soul offspring. Besides churches, concert series, and music festivals, they’ve also brought their powerful musical ministry to prisons, interfaith events, and community celebrations. For more information and to purchase tickets, visit the Center of the Arts website.